Gee nothing like waiting to the last minute to post my July tag. Tim’s July tag for instructions. For my tag, I place the Sea Foliage under the embossed clear packing material, in hopes it would give some depth to the tag. 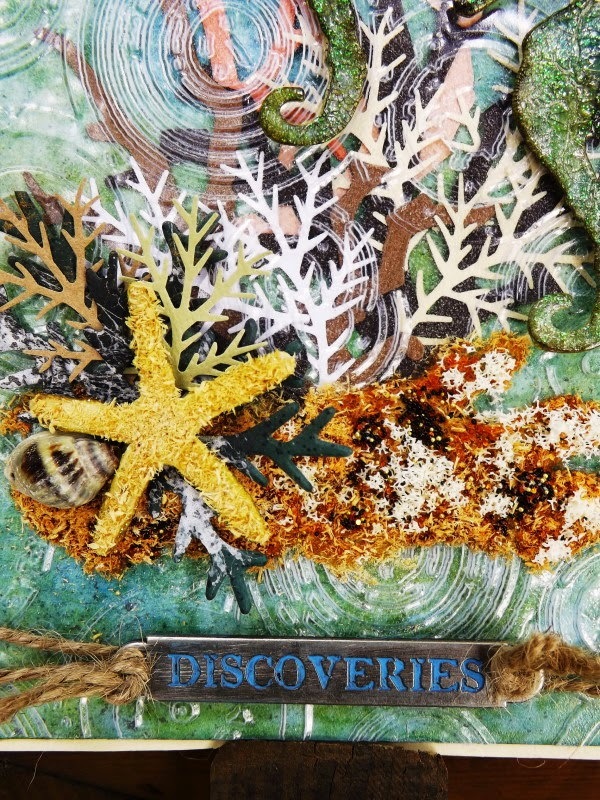 My Sea floor and Starfish was made using Sawdust shaving, as I didn’t have the required materials Tim listed. I also added glitter , small glass beads and Flower Soft to the sawdust for depth and shading. I used the following Tim products, Mini Sand and Sea Die, Bird Branch die, Tattered Pinecone die, Branch Tree die, and Sizzix embossing folder. Thank you for popping in today. Hope you are enjoying this crazy summer weather, or cool summer weather. A triumph of a tag! I like the multiple seahorses and there is a perfectly underwatery feel to your tag - stunning. Well I am so pleased you finished this Tag in time as it is absolutely fantastic, right down to your sawdust. 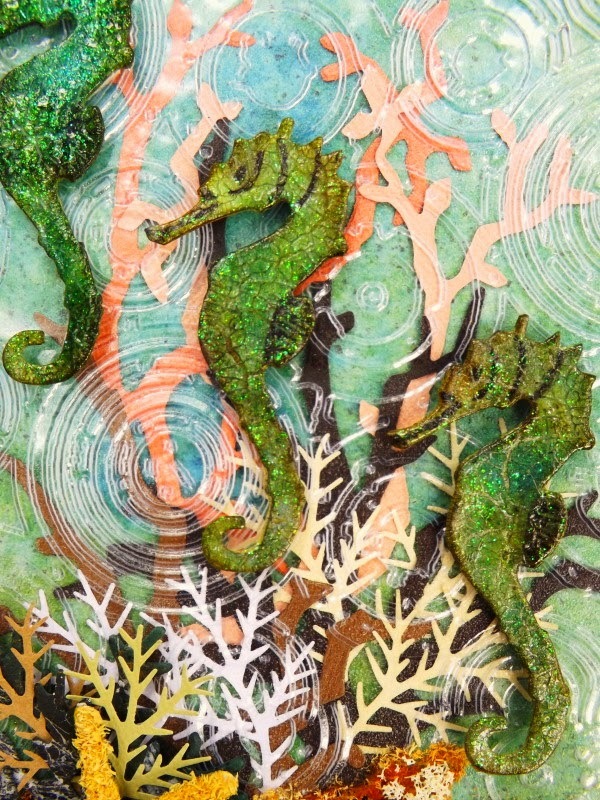 What caught my eye was the plastic embossing, it does add dimension and an underwater sense. Great work my friend. Vada, you have rocked the seahorse world. I love, love, love your take on Tim's July tag. Those little triplets are gorgeous and your sand is amazing. Love this, GF. Hugs. Three Cards Using Some Of Tim’s Papers.